Roger Federer, who was seeded No.2 at the Cincinnati Masters event, transcended the field from start to finish. He capped an astounding week with a straight sets (7-6, 6-3) trouncing of Novak Djokovic. What started as a joke — Federer’s half volley second serve return — became a strategy, which put his opponents off pedal. It wasn’t the reason Federer won the tournament, but it showed how liberated the Swiss was on the court. 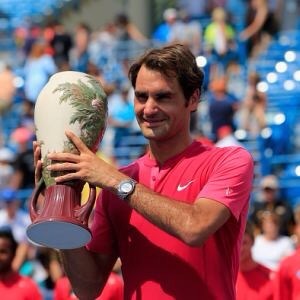 The fun began in the American Midwest ten years ago, when he beat Andy Roddick for his first Cincinnati trophy. A decade later, more all-out offense has propelled him again to his seventh Cincinnati crown. It was also his 24th Masters shield and 87th ATP title. Federer loves the fast courts and warm conditions in Cincinnati, which he uses to his advantage. He looks in complete control on the centre court, no matter the time of day. Federer made it a tournament to remember. He didn’t drop a set, he didn’t lose his serve. He beat the No.1 and No.2 players in the world, Djokovic and Andy Murray, on back-to-back days. (In the process, Federer supplanted Murray as the No.2 player in this week’s new rankings.) If that wasn’t enough, he didn’t face a break point against either of the two, the best returners in the game. Federer, at 34 years of age, is having a party. While his mind-boggling returning approach continues to draw headlines, it’s his array of returns that held the key in this much anticiapted final. He returned from the baseline, from the service line, and he also attacked Djokovic’s cross court forehand, which has been the weapon Djokovic regularly unleashes to hurt Federer. Djokovic didn’t do himself any favours in Sunday’s final, though, double faulting in his opening game of the second set to hand over a break he would not manage to overcome. Shockingly for his fans, Djokovic never found the extra gear and couldn’t solve the Cincy riddle from his heavenly land, also known as the baseline. Djokovic heads to the United States Open with two runner-up trophies at Montreal and Cincinnati. However, it means little to his chances at the final Grand Slam of the year, for he is tipped by many to be the champion in New York. With this much needed win, Federer sealed the no.2 seeding at the U.S. Open. He has not dropped a sweat, zooming past his fellow competitors. 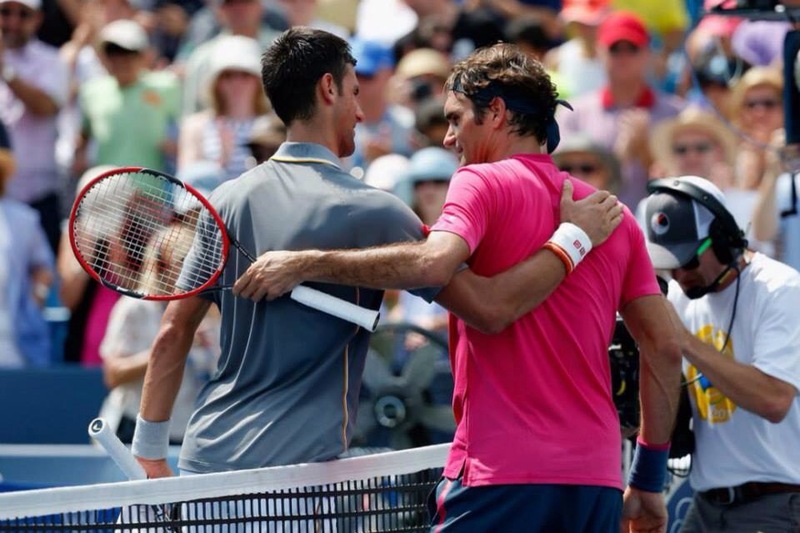 He is fresh and will arrive at Flushing Meadows, high on confidence. The balls will be slower and the courts won’t be as fast as in Cincinnati, but the hope that Federer instills in the hearts of every fanatic is and will remain eternal.